Deciduous tree. Slow growing. Broad, vase shape habit. 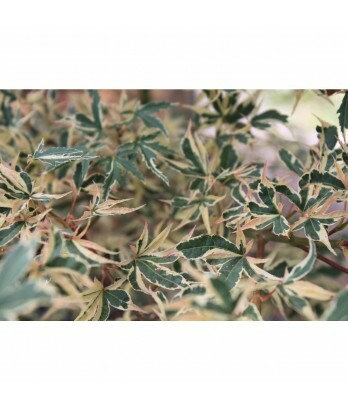 Beautifully variegated leaves in shades of green and white with salmon-pink new growth. Foliage turns pinkish-orange in fall. Moderate to regular water needs in well-drained soil once established.